2006 - Ranked 4th in the US and Canada, in the Men’s Division of the International contest. 2007 - Ranked 4th in the US and Canada, in the Men’s Division of the International contest. 2009 - Ranked 5th in the US and Canada, Men's Masters Division. Filmed multiple TV shows w/ Outdoor Logic TV. Filmed in '12 and '13 with nationally televised TV show "The Next Bite" hosted by muskie guru Pete Mania. I have fished with Dave for several years. One thing about Dave is he is always trying new patterns and techniques. I have also been amazed at how much time Dave is willing to put in to locate a pattern. I know times he has arrived at a lake before sunrise and fished way into the following night. One of the main keys to catching fish is being able to find patterns and quickly adapt to new ones. Dave is definately a fisherman who can do this.I am very appreciative of some of the bites and patterns he has shared with me. I have caught many trophy fish off patterns he has spent many hours discovering. Thanks Dave. You know I appreciate it. I first met Dave in 2004…at that time I had only caught 4 muskies. I have fished with Dave many times in the past four years and now I have caught 88 muskies. Dave is a die-hard muskie fisherman he will fish all day and night to catch a fish. I’ve met a lot of muskie fisherman over the years and I haven’t found anyone more dedicated to muskie fishing than Dave. Dave’s approach to muskie fishing is "I’m not leaving until we catch a fish" and we usually catch more than one. Fishing with such a high success rate, Dave will be one of the best muskie guides in the country. He is the best muskie fisherman I know. Dave has shown me many patterns that work throughout the season. I have caught multiple fish in one day using his patterns. On one occasion I caught 9 muskies in one day the biggest was a 53 incher. One day of fishing with Dave will give you a better understanding of where to find the fish and how to catch them, making you a better fisherman. I have fished with Dave over the last few years and I have found him to be a knowledgable fisherman who knows the waters he fishes. He is always trying different baits and patterns until he gets the fish to eat. He spends countless hours on the water in search of big fish and it usually pays off for him. He is confident in his fishing abilities and loves competition. Fishing with Dave is always a good time. I get pretty excited when I have a trip planned with Dave because I know we are going to catch fish. 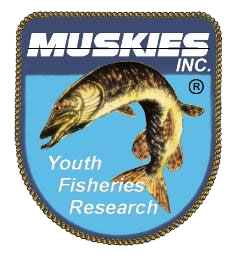 I have been fishing for muskies for 5 years now and some of my best days have been with Dave. We have only fished 4 days together, but we caught 20 muskies, with 3 over the magical 50" mark. Dave works harder than anyone I know and will put you on fish. Every time I have fished with Dave I have learned something new, whether it is a new lure, technique, or a location. You can't go wrong hiring Dave to put you on a fish of a lifetime. © 2010 Musky Stalker Guide Service, LLC.